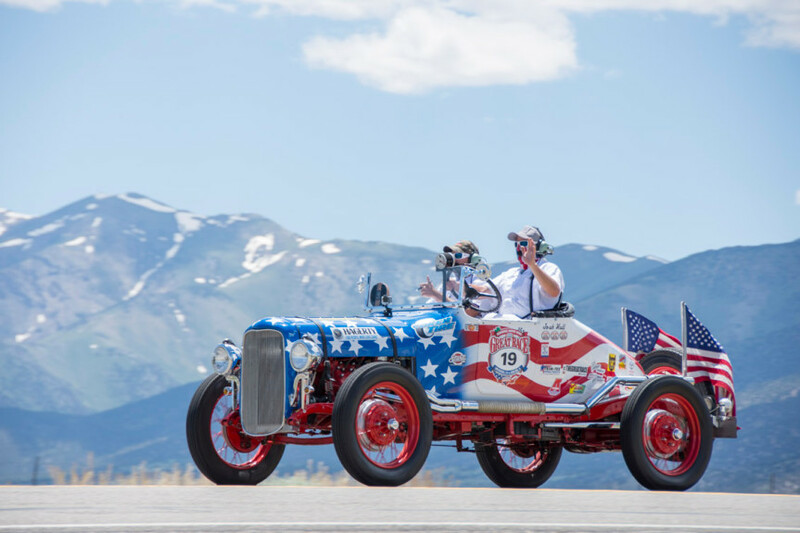 Incredible cars are nothing new to the Great Race, but Pete Vicaris 2014 entry is one of the most unique ever in the event. It is a 1937 Bugatti Atlantic tribute car. 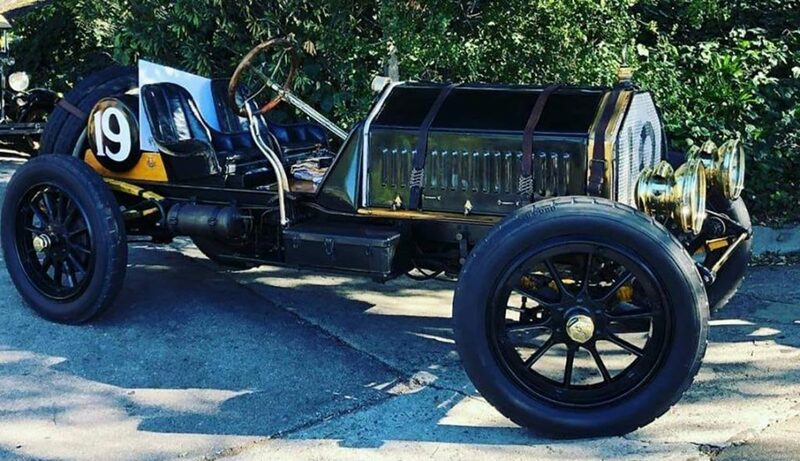 It is just one of three tribute Atlantics built, and it is just one of 100 unbelievable cars that will be participating in the $150,000 Great Race from Maine to Florida from June 21-29. 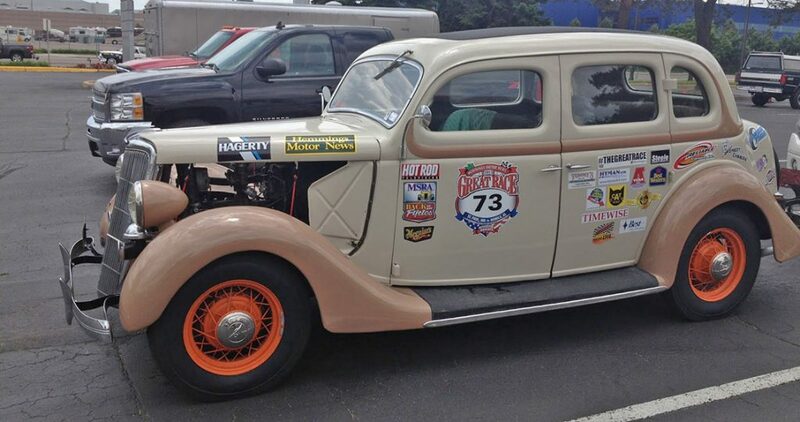 Vicari and his wife Barbara participated in the 2013 Great Race from St. Paul to Mobile in a 1948 Buick Super 8 convertible, and they enjoyed it so much they have committed for Vicari Auctions to be a sponsor of the Great Race for the next three years. Vicari, with its auctions in Texas, New Orleans and Mississippi, is the Official Auction Company of the Great Race. Vicari owns Vicari Motorsports and has raced just about everything including dragsters. Vicari, who finished third in The Race Across America, also has a TV show called Vicari Bidding Wars that appears on NBC Sports each week. More information on Vicari, the auctions, the TV show and their race teams, check out www.vicariauction.com. The Atlantic body Type 57S featured flowing coupe lines with a pronounced dorsal seam running front to back. It was based on the “Aérolithe” concept car of 1935. Like the Type 59 Grand Prix car, the Aérolithe used Elektron (a magnesium alloy) or Duralumin (an aluminium alloy) for its body panels. Therefore, the body panels were riveted externally, creating the signature seam. The production Atlantics (just four were made) used plain aluminium, however. But the dorsal seams were retained for style, and have led to the car’s present fame. Only two of the cars survive. One is in the collection of Ralph Lauren, the second was owned by Dr. Peter Williamson, and won best of show at the 2003 Pebble Beach Concours d’Elegance. Williamson’s car (#57374) was sold for between $30 and $40 million at an auction in May 2010 to the Mullin Automotive Museum located in Oxnard, California. 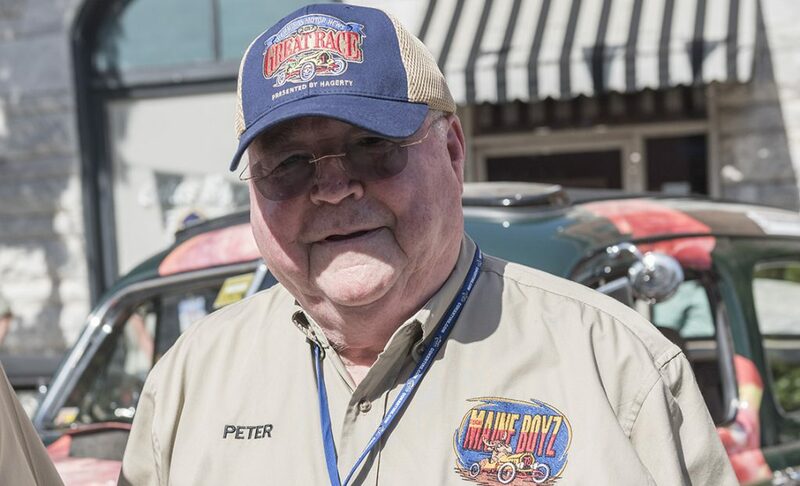 Pete, that’s gotta be the coolest car I’ve ever seen. Can’t wait to see you and Barbra and your car in Maine. I wando go and see it that it going to have family activity 2.
is this a replica or one of the originals? the article is confusing!!! explain! Rock: It is one of three tribute cars built. Wow. Beautiful and stunning car. Saw it yesterday in Elk City, Oklahoma with the great race.Fell in love with it. Saw the car at the Unser Museum in Albuquerque this past Wednesday! Amazing car!